There is no special food that is required by a person with TB. A person with TB does not need special food, although they they should try and have a balanced diet. Some people with TB also believe that more expensive foods are better than less expensive ones. This is not true. For example, it is not true that costlier varieties of rice are better than cheaper ones. It is often better that a person with TB has the same diet as normal but possibly with some changes being made to increase their intake of food. People with TB often have a poor appetite initially, but having more frequent food intake can be helpful. Within a few weeks of starting TB treatment, the person’s appetite should increase and come back to normal. A person with TB should aim to have three meals and three snacks each day to increase the amount of food they eat. Oils, fats and nuts and oils seeds. A food group is a collection of foods that share similar nutritional properties. If the food eaten contains food from all the above food groups, then the diet is considered healthy. Not all the food groups need to be eaten at every meal. An essential nutrient is a nutrient that must be provided by a person’s diet. These nutrients are necessary for the body to function properly. The six essential nutrients include carbohydrates, protein, fat, vitamins, minerals & water. Attempts should be made to increase the energy and protein content of the food in meals and snacks without increasing its volume. So, for example, addition of oil or butter to chapatti or rice can increase the energy content of the diet. A person with TB should also be encouraged to eat pulses in other forms e.g. roasted chana. Oils & fats are a source of energy. In terms of oil, soyabean oil, mustard oil and coconut oil, are all acceptable. Nuts like ground nuts are good sources of energy and protein and can be taken as snacks in either fried or roasted form. Ground nuts are equivalent in nutritional terms to more expensive nuts like almonds, cashews. Proteins can be of animal origin like milk, eggs, meat and fish or of plant origin as in cereals & pulses. 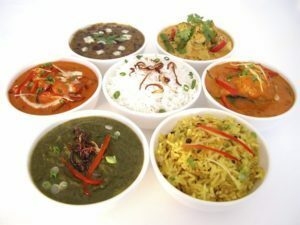 For vegetarians, a combination of cereals & pulses can give a quantity of protein equivalent to that of animal proteins. The daily consumption of milk and milk products is also beneficial. In the case of non vegetarians, consumption of eggs on a daily basis can provide the same benefit as meat and fish at a lower cost. Vegetables, especially leafy vegetables and fruits are vital sources of vitamins & minerals and should be part of the daily diet. Locally available fruits are as good as more expensive fruits transported over long distances. Nutrition means looking at the nutrients that are provided by people’s diets. For a long time it has been known that there is a link between TB & malnutrition. If people do not have sufficient nutrition, sometimes referred to as under nutrition, then this makes TB worse. Under nutrition weakens the body’s ability to fight disease. TB also makes under nutrition worse. Most individuals with TB experience weight loss. This can be caused by several factors including reduced food intake due to loss of appetite. If a person with TB is able to carry out any physical activity then this can be beneficial. Physical activity helps food intake to be converted into muscle mass, and it also improves the appetite. An excess of spices & salt.